My Money Story: Bradie & Her Husband Paid off $420,000 in One Year! By Bola Sokunbi. Published on July 7, 2017. Meet Bradie! 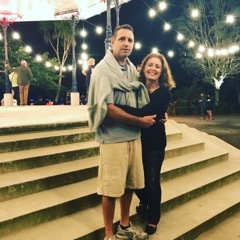 Along with her husband, they have paid off $420,000 of over $566,000 of debt in one year by reevaluating their lives and scaling down majorly and they did it with two children and a $130,000 joint income. Bradie's story is motivating and inspiring and she shares several gems on what it takes to build a life free of debt that you will truly be happy about. Enjoy! "This is a permanent journey for us, as we always want to stand in our truth and be authentic. Keep focused and believe in yourself and if people are making fun of you and your frugal ways, you know you are on the right track." In January 2016, I was 45 and gliding through life without a financial plan in place. My husband and I were both working full-time and had nothing to show for it. My ‘enough is enough moment’ happened one weekend in early January 2016 when we were visiting friends for the weekend. 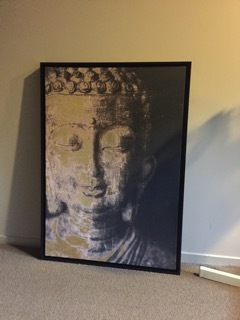 My friend and I decided to go ‘shopping’ and I came home with a piece of art ‘Buddha’ which cost $100.00 and I paid by visa. My husband was clearly upset and asked how I paid for it in front of our friends. I couldn’t understand what the big deal was and we didn’t talk the whole way home. A fortnight later, we went away for another weekend with my sister and her husband. We were out for dinner, using the visa again, when we decided to go the movies. It was the movie ‘The Big Short’. It hit home for me as my home is my biggest security, and the movie showed how the property market crashed in the States and how many people lost their homes and jobs. After the movie, we discussed money, property, finances until 1 am in the morning, and I realized we weren’t paying $1 principal on our mortgage and clearly not doing well with our finances. The next day was ‘DAY ONE’ of our journey. We sat down and laid all our debts on the table – this was a scary and sad moment. We had $566,380 of debt! This was contained in two mortgages and a credit card. How much debt did you pay off in total and what was your income during this time? We have since paid off $420,000.00 and now currently have $145,281 left to repay. Our joint income in January 2016 was $130,000.00 (NZD) and we have two teenage children still living at home. What specific tips helped you with paying off that amount of debt? I increased our insurance premiums on cars, house, contents insurance. I cancelled movies on cable and found a deal on free Netflix for a year. I changed power plans to save and receive fuel deals, I created a meal plan and went through all our pantry and freezer to plan a stock take of our food. We cut back on our spending money – we were taking out $80 a week fun money – we have trimmed this to $100.00 a month. Cutting back allowed us to pay $90,000 in debt with our income. We also sold our car for $15,000 and our rental property for $315,000 to help accelerate our payoff. I scrutinized everything and treated it like my second job to save us money – it took time, but man was it rewarding! Zero-based budget. Get on a written monthly budget. I have set up an Excel Spreadsheet for each month which I prepare before the 1st of the month which details the amount of income we will receive and all our expenses. This is a game changer. Get on the same page with your partner. You both need to want to do this. You need the support and passion to want to eliminate debt! Have a plan! You can’t be on a debt free journey if you don’t have a plan of where you want to end up – you need a roadmap. We found Dave Ramsey’s baby steps and are currently on Steps 4 and 6. Cut your expenses. I went through every one of our bills and trimmed where possible. Use cash where possible. It has been proven that you spend less when using cash compared to plastic so get our cash for your groceries and spending money and once it's gone – its gone for the month! Only buy needs not wants and learn to know the difference, don’t buy new, used can be just as good – don’t be shy to shop at thrift stores. Use visual charts to keep you motivated. We have one in our ensuite and one inside our pantry door. Try and get a side hustle. Sell things around the house, work extra shifts, do you what you can to earn some extra cash. Make it a game. Beat the budget you have set, be FRUGAL. How have you stayed motivated on your journey to being debt free? During this journey, we keep ourselves motivated by listening to Dave Ramsey podcasts, I am part of the Debt free community on Instagram, we have visual charts around the house and I love making spreadsheets in my spare time showing our progress. How do you manage the days where you just wanted to go out and spend money? When we have days where we are struggling to stay on our FRUGAL ways, we keep supporting each other and what we find is when one of us is struggling the other one steps up and keeps supporting the other and reminds them of where we want to be. Luckily we both haven’t been struggling at the same time! Keep the finish line in mind and this will keep you going to where you want to be. The artwork I paid for with Visa. Don’t get a credit card and live beyond your means. Be happy living a simple life. Pay cash for everything you buy and dare to be different to everyone else!! This is a permanent journey for us, as we always want to stand in our truth and be authentic. I cannot wait until the day that we no longer need finance from the Bank and can walk on our grass at our beautiful home knowing we OWN it all. That day is going to be a huge celebration and one we will truly cherish. What advice would you give to anyone reading this looking for encouragement on their debt free journey? My advice to anyone trying to repay debt, is to keep patient, remember that patience is an action too. I often think it took us 45 years to get into this much debt so we can’t expect to be out of it in a very short turn around. However, we are aiming to be debt free by the end of 2019! Keep focused and believe in yourself and if people are making fun of you and your frugal ways, you know you are on the right track! Thank you so much for sharing your incredible story with us Bradie!